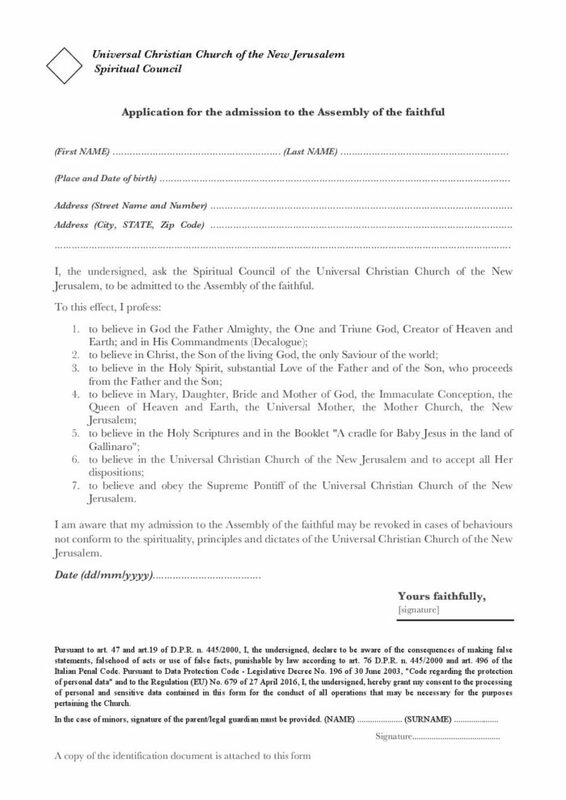 The form below, represents the formal application form for the admission to the Assembly of the faithful of the Church, which everyone can undersign and address to Her Spiritual Council. 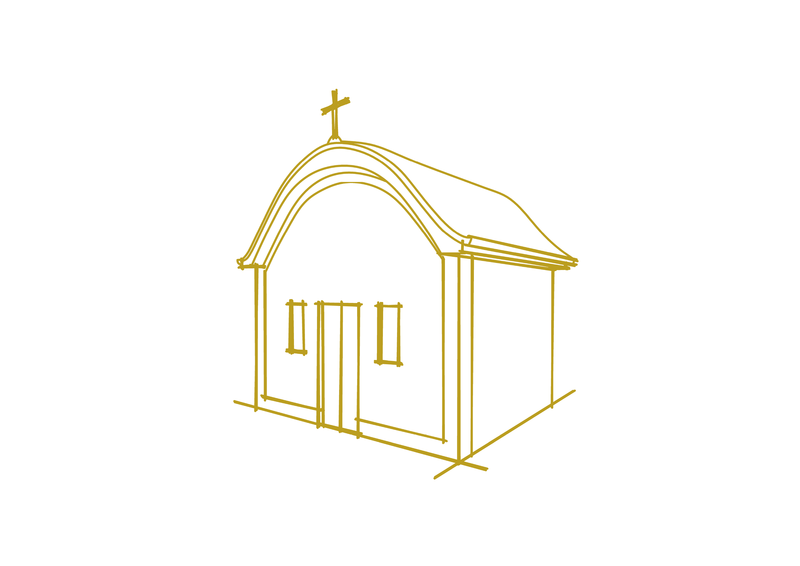 This form has been primarily issued to comply to the request of the Ministry of Interior, to obtain a legal recognition for this Church, whose proceeding is underway since 22 December 2015. The Spiritual Council of the Church is aware that the joining of each faithful to the Church’s life is principally made with heart and will, to be freely part of Her, at any time and without any kind of constraints. Only God the Father Almighty can truly recognize every one of His sons who wishes to welcome and live in an authentic way, the teachings of Jesus. In having had to prepare a form for the admission to the Assembly of the Faithful for the reasons above outlined, this Church has contextually wanted to summarize in it the contents of Her doctrine and Christian teachings, in order to make everyone aware of the spirituality that is professed. Therefore, every member of this Church may express his/her profession of faith in the full awareness of the contents and beliefs to which they freely decide to join. The profession of faith is summarized in 7 points of the form. In the first three points, is professed the creed in the Most Holy Trinity, which is God the Father, God the Son and God the Holy Spirit. In the fourth point, is professed the creed in Mary Most Holy, Daughter, Bride and Mother of God. In the fifth point, is professed the creed in the Holy books of the Christian Bible, constituted by the Old and the New Testament, and in the prayer booklet of the Universal Christian Church of New Jerusalem, which contains the traditional prayers of Christendom, the prayers revealed to Ms. Maria G. Norcia and Her story narrated by Msgr. E.C. Lastly, in the sixth and seventh points, the members are asked to profess their faith in the teachings of the Universal Christian Church of the New Jerusalem, accepting Her provisions that are to be construed as spiritual teachings; and to profess their own creed and loving obedience to the one who, in the role of Pontiff, is called to be the spiritual guide of the Church, in order to profess, with one only voice and one only heart, the spirituality that unites the Pontiff (while He remains faithful to the teachings of Jesus Christ) to all the faithful, in the one and only Mystical Body that is Church.